PREMIER LEAGUE CHIEF executive Richard Scudamore has revealed that a winter break could be added to the English football schedule. Scudamore said that the top flight, the Football League and the Football Association have ‘tried’ to work out a potential solution but continue to find it difficult to rearrange the fixture list to accommodate a rest period that, it has been argued, would benefit the England national team at major tournaments. He insisted that the Premier League have no intention of reducing their number of clubs and explained that the Football League would be reluctant to give up the League Cup in order to ease the amount of games in a season. 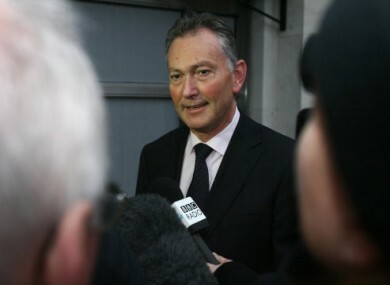 “We have tried, but unless somebody is prepared to give something up, it is pretty hard,” Scudamore told the Telegraph at the launch of the 18-million-pound Premier League Community Facility Fund. “We are not inclined to reduce the number of clubs in the Premier League – if you were running a theatre and had 380 nights that you wanted to sell, why would you throw 60 or 70 of those nights away? “Similarly, the Football League don’t want to lose the League Cup. It’s a huge source of funding for the Football League and it is a big solidarity play between the leagues. “As for the FA, they don’t want to give up replays in the FA Cup, so we all sit down and we all look at each other, but it’s pretty hard for those of us in English football to create that two-week space. “Nobody has asked the Football League to give up the League Cup, but why would we? We are huge supporters of it and we wouldn’t have the temerity to alter the FA Cup either. Scudamore believes the difficulty in fitting a winter break into the season is more to do with the amount of international breaks demanded by FIFA and UEFA than a busy domestic calendar. “We offered to start the season a week early, which is difficult in terms of summer holidays, but we don’t really want to be starting the season in July,” he said. “You can understand why the 20 Premier League clubs, having come down from 22 to 20 (in 1995), are disinclined to reduce their games, from 380 games to something like 316 or 308 games. “But if you look at who is taking more dates out of the calendar, it is UEFA and FIFA. They are the ones who have come along and taken the dates, not us. Email “Premier League consider introducing a winter break”. Feedback on “Premier League consider introducing a winter break”.